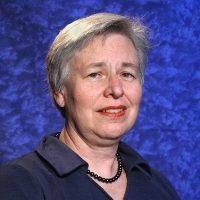 Annette D. Reilly, CSDP, IEEE-CS Golden Core and Senior Member, is a four-time winner of IEEE-CS Outstanding Contribution awards for her leadership and development work in systems and software engineering standards. For fifteen years, Dr. Reilly has led the development and harmonization of IEEE and ISO/IEC standards for systems and software engineering, software user documentation, and IT service management. Working diplomatically as a leader in US and international standards groups including the Computer Society’s Systems and Software Engineering Standards Committee Management Board (S2ESC-MB) and ISO/IEC JTC 1/SC7, she achieved difficult standardization challenges—including some that had been considered impossible. She was instrumental in fulfilling a strategic plan for software documentation standards, carried out through a series of five audience-oriented standards (ISO/IEC/IEEE 26511 to 26515), including IEEE’s first standard for agile projects. She developed the schema and produced a highly adaptable standard for the content of information items in systems, software, and service delivery (ISO/IEC/IEEE 15289). She developed a ground-breaking vocabulary standard for software and systems engineering (ISO/IEC/IEEE 24765) to update definitions from IEEE’s 25-year-old vocabulary standard with ISO’s even older one with the definitions from all current, relevant IEEE and ISO standards and other authoritative sources, available as a free database (www.computer.org/sevocab). She leads a large international working group to revise the pioneering IEEE and ISO standard (2001/23026) on website engineering and management. Dr. Reilly is a Senior Staff member of Lockheed Martin Information Systems & Global Solutions, with responsibilities for IT enterprise management and technical solutions development for US and international proposals. In over 30 years with Lockheed Martin, she has held a variety of roles for proposal management, engineering management, systems engineering, information management, and technical documentation. She received a B.A. from Rice University, a Ph.D. from Brandeis University, and an MIS from The George Washington University.